A fine example of a modern Shad Thames development built in a warehouse style. This 623 sq/ft space has a large West facing balcony, a spacious double bedroom, a separate modern kitchen and a big bright reception room. The shower room has been renovated to a high standard using Duravit, Geberit and Dorn Bracht fixtures. 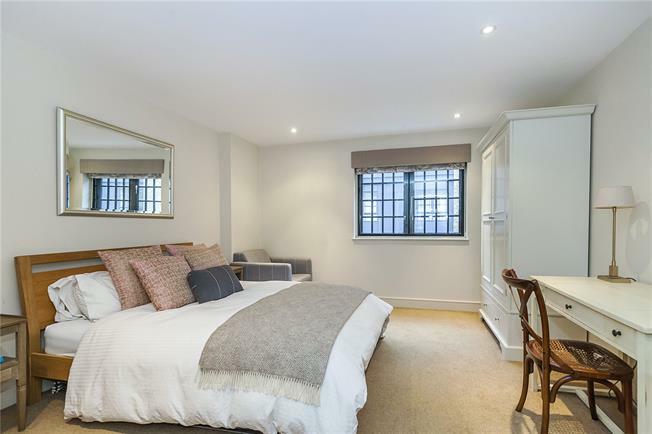 This 4th floor apartment is set in the heart of Shad Thames in the highly sought after Cayenne Court development. Cayenne Court benefits from 24hr concierge, lift access, secure car parking, a communal gymnasium, swimming pool, sauna and jacuzzi. Shad Thames is a desirable location along the banks of the River Thames, steeped in history and enchanting character. A variety of bars and restaurants are within walking distance, as are Borough Market and Bermondsey Street. The area is very accessible and whilst many residents walk across Tower Bridge into the City, there are also good transport links via London Bridge main line train station (11 minutes to Charing Cross) and underground (Jubilee and Northern lines) and Tower Hill (District & Circle lines) - an additional transport option is the River Taxi at St Katharine Docks.